Invest In Memories - Gift the Gift of Play this Holiday Season! Memories are forever and especially at this time of year, we are reminded that coming together to build memories is the best gift. The only thing better is helping other families to have that opportunity too! This holiday season, we are asking you to invest in Memories by giving the gift of play and become a Memory Maker! This season your contribution will make twice the impact! Thanks to Janet and Art Postle, the total value of all annual pass purchases and donations made until December 31, 2017 will be matched up to $10,000!! What could be more exciting than giving the gift of PLAY this holiday season. This year the Children's Discovery Museum on the Saskatchewan will be selling 2018 Family Annual Passes to the Market Mall location. Annual Pass benefits include free unlimited admission for a year, and 10% off merchandise, birthday parties and facility rentals. Each pass allows for 2 adults and up to 6 children within the same household to enjoy the benefits. A Family is defined as all members of the same household. We do allow for one parent and one additional caregiver to be listed on the pass ie. Parent / Foster Parent & Grandparent or Nanny. Children listed on the pass must reside in the same household. Annual Passes are non-transferable, non-refundable, do not carry a cash value and are valid from January 1, 2018 to December 31, 2018. If you are purchasing an annual pass as a gift for a family other than yourself, please include the primary adults contact information as the "Attendee" section. Don't have someone to give an Annual Pass to? 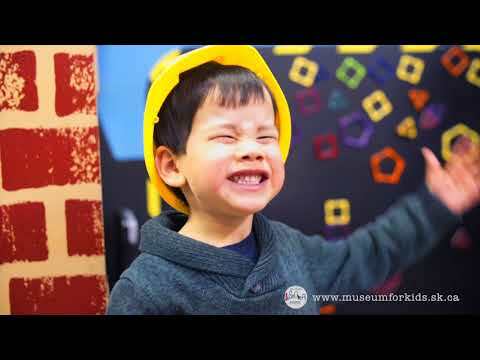 Why not be a Memory Maker and Invest in Memories by making a donation to the museum to help other children and families experience the gift of play! **Note about dates - please note that the dates that show November 17th - December 31st are the dates that Annual Passes are able to be purchased. All passes purchased will be valid for the 2018 Calendar year. Update: Passes received as Christmas gifts can be redeemed between Christmas (Dec 25) and New Years (Jan 1) as an extra bonus this holiday season! MISSION Our mission is to foster creativity, curiosity, and a lifelong love of learning in children twelve and under, through hands-on exhibits, programming, and outreach. VISION A state-of-the-art, centrally located children’s museum in the Mendel building that is a vibrant and welcoming hub for children and families, a resource for schools, and a major tourist destination.